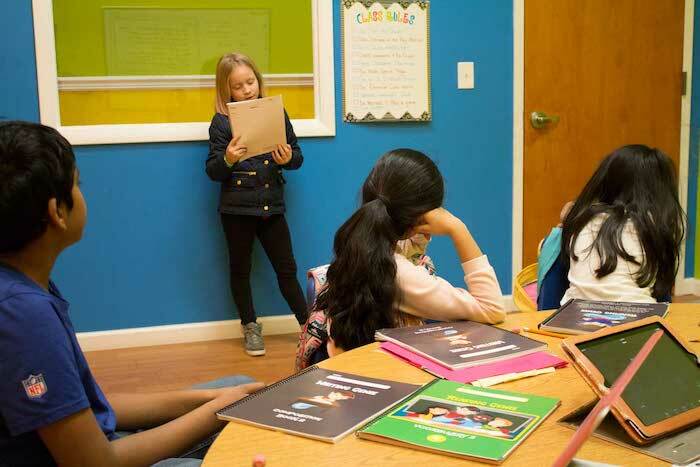 Descriptive writing is an important skill for your child to master, whether they enjoy creative writing and storytelling, or are simply writing a school essay, it is essential for your child to be able to describe something in a way that the listener or reader can easily envision. However, as more and more information is fed to your child through photographs and videos, being able to describe something through writing can be a difficult task. What Are the Building Blocks of Descriptive Writing? Sensory Details - Descriptive sensory details is what helps to paint the picture in the reader's minds. Figurative Language - Descriptive writing will often contain figurative language to help paint the picture as well. Similes, personification, and metaphors, are all important parts of figurative language your child will need to understand to be able to write quality descriptive pieces. Dominant Impression - In a descriptive piece, there should be a unified description that provides the reader with what a person, place, or object in the essay or story is like. Precise Language - Precise language is used in descriptive writing over vague language. This is necessary for the reader to see the subject being described the same way the writer is. Descriptive writing carefully details a person, place, object, or location, in a way that the reader can visualize the subject and put themselves in the writing. Unlike persuasive writing, you are not writing to convince someone to side with your opinion. And even though both narrative writing and descriptive writing can tell a story, narrative writing focuses on the chronological events that happen in a story, where descriptive writing can use elements of storytelling to aid in its description of an event. An introductory and conclusion paragraph. A person, place, object or event being described. Figurative language that touches on all the senses. Distinct descriptions that can create pictures in the mind. How Can You Help a Child Who Has Never Written a Descriptive Piece Get Started? 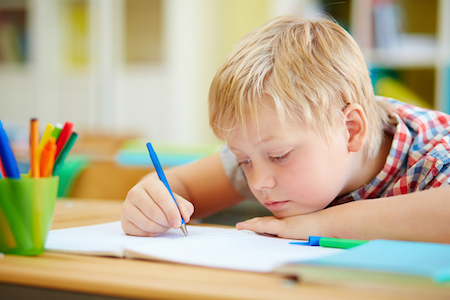 If your child has never written a descriptive piece, getting started is often the hardest part. Have them brainstorm some topic ideas that they would like to make their primary focus of their writing. The focus of the piece could be a person, an item, a location, or an event. Once they have a few ideas down on paper, have them start to create descriptive words and phrases for each of them. Next, have them sort the supporting information in columns based on the five senses. Have them choose a topic that they have a lot of details about and touches on all the senses. Once the topic is selected, they will need to put their details in order. If they are writing about an event, they will need to organize their details in chronological order. If they are writing about a person, place, or object, have them organize the details from the broadest to most specific. With this information, have your child create an outline with an introduction, the body paragraphs of descriptive details, and the conclusion. While it can sometimes be hard to get your child started with descriptive writing, it is a great tool to improve their communication skills and provide them with a creative outlet to stimulate their imagination. Want to help get your child started with descriptive writing? Sign them up for Math Genie's Reading Genie program where they can learn the fundamentals of descriptive writing and how to become a successful writer. Sign up or call 732-234-9999 to schedule your free class. Sign Up Now For a FREE class! Copyright © 2019. Prosperity Associates Inc. All rights reserved. *The success stories on our website show real Math Genie students who have achieved various academic results. Your child's individual results and duration to achieve them will vary. Results are not guaranteed and should not be viewed as typical.